There are couple of methods I follow to select intraday trading stocks for the next day at the end of the market. Intraday trading is all about quick momentum and small time duration. We cannot always trade on fixed set of stocks every day, we need to find out list of stocks that have shown significant strength or weakness. So to start with, I will first list down what are the top 5 gainers and top 5 losers for the day in NSE Fno segment. This link will give you this data by EOD. sharing some data analysis done for last 10 years data sets here, listed below is the return distribution, whenever a stock closed positive, how it reacted next day. The below table, shows % returns for the day on left side and right side shows no of such occurrences. The same is shown in graphical representation below. It clearly shows that, next day returns are largely negative. So a top gainer for today could be a stock to watch out for short the next day and vice versa for top loser. I need to find the list of stocks that has show significant volume strength, we cannot simply pick top volume gainers for the day and trade on it next day. Stocks like RCOM, JPASSOCIATES might have more no of volumes and more % increase frequently. We need to to find whats their average volume and whats today’s volume, and then compare how much % it has increased when compared to its average volume. I download EOD data for all NSE Cash and FnO stocks and calculate the above ratio, which will give me volume gainers list. Many traders tend to ignore the Volatility Gainers list, many institutional traders take positions in stock options and sometimes they unwind their positions or add more, and these indirectly results in increase in Volatility. For example, when a stock tanks in a day and also if volatility is increased exceptionally for this stock, it could mean that next day also, it can continue it momentum. So a stock that comes in Top 5 loser list and also in Volatility gainer list, is a very good candidate to trade next day. So I download the daily volatility data from NSE and check what is the % change in volatility of each stock and sort them descending order and pick top 5 from this list. 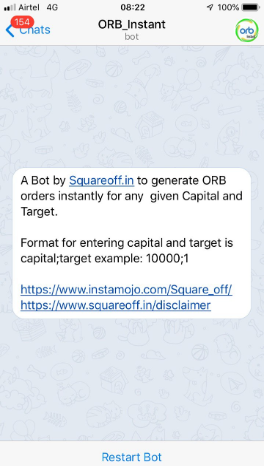 As all these are time consuming process, I have created my own automated bot, that scan and do the analysis for me and message me this list automatically every day at 8 PM, so that next day I can be prepared to trade on it. As these information are really help full, I have also started sharing this data for with other trades for free through Telegram, Twitter and FB.